"Could you explain how they do it with the cell phone? ¿Podrías explicar cómo lo hacen con el celular?" It all started on October 15, 2007 at 9:47 PM when two officers approached me. They were officer's W. Jarquin 338 and officer's C. McCoy 392. I was asked to present my identification. I refused. Due to the nature of the crimes inflicting him, he has been forced out of his home and into the streets. But that has not discourage him from exposing these Targeted Individual crimes against humanity. He is in need financial assistance so he can use the money to eat, shower and live some level of existence. PREPARE FOR WORLD DISASTER THE GOVERNMENT WILL NOT TELL YOU ABOUT, I WILL!!! SEE ALL ON MY NEW DISCUSION POST AND DO AS SUGGESTED TO LIVE!! 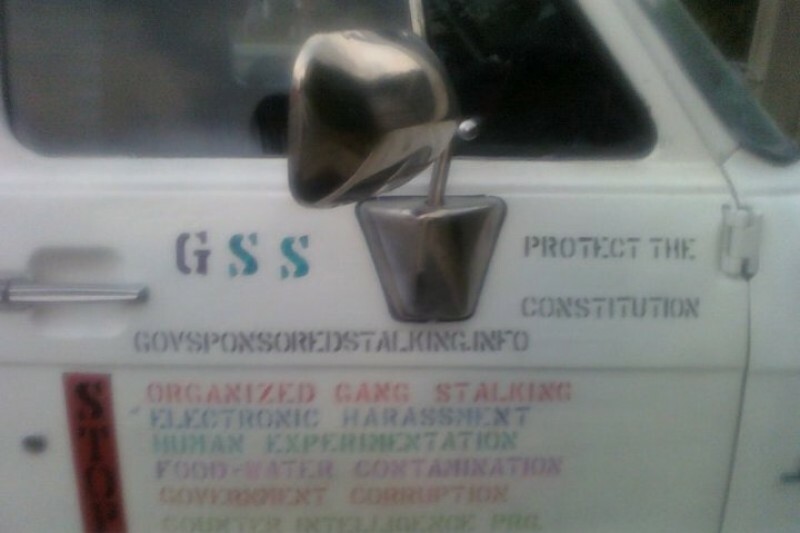 Ciao Chris,GANGSTALKING in JAPAN as your van !! !